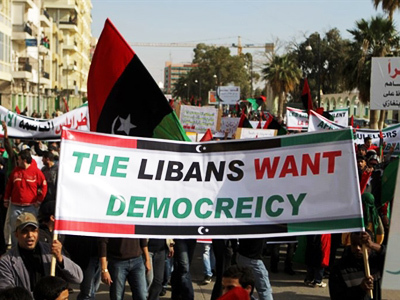 For a France that was pushing for a military solution in Libya three weeks ago, the possibility of a stalemate looks likely to bring some grand ambitions crashing down, with watchers already questioning the noble sentiments voiced by the country. 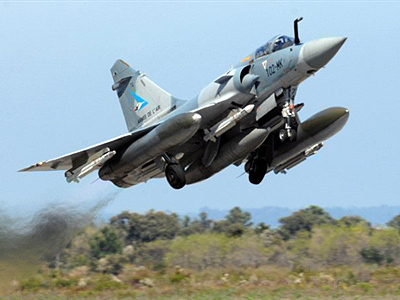 ­A NATO friendly-fire air strike incident has killed at least five anti-Gaddafi rebel fighters in Libya, while some sources suggest it may have been dozens. This only adds to the criticism coming from the opposition, who say the Alliance is not doing enough to help them. “France wants to get in on the imperial condominium of reconquest of Africa,” slams author Diana Johnstone. 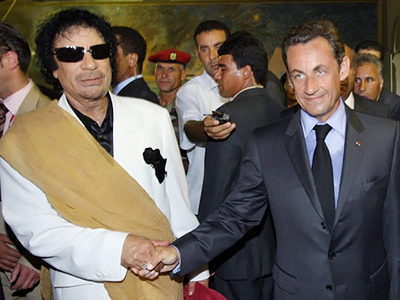 Already having long term connections on the continent, Paris can’t forgive Colonel Muammar Gadaffi for fighting its military in neighboring Chad in the 1980’s, and challenging its corporations in the region ever since. Reports that the French military was plotting an invasion as early as last year have prompted accusations of revived imperial ambitions. 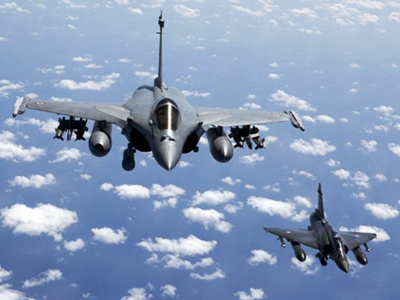 Calculated as a vote winner for the French President, France’s involvement in the operation has back-fired. French Foreign Minister Alain Juppe originally said the invasion could last “days or weeks, but not months.” Into its third week, the war in Libya is turning out longer, and harder, than wanted. 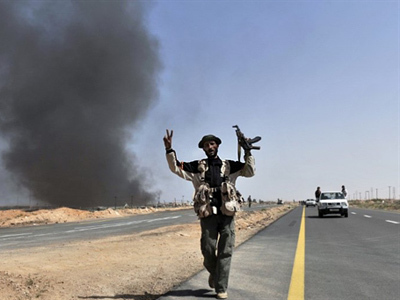 With Gadaffi’s forces still standing firm, rebel gains only come with NATO’s heavy helping hand. 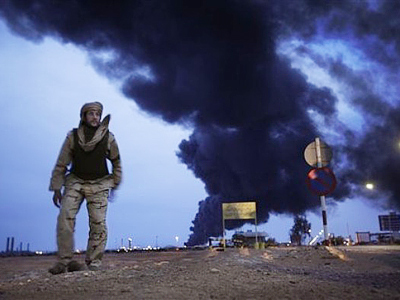 The war in Libya was supposed to boost French prestige abroad and restore government popularity at home. Instead, as the bombing continues, opposition on both sides is growing. Demonstrators in France say they see through France’s noble claims. “France calls it humanitarian intervention. But it is really imperialism,” believes anti-war protestor Ambre. 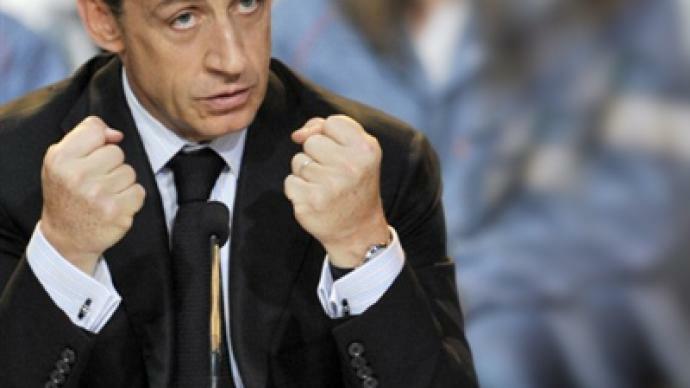 In local elections, Nicolas Sarkozy got thumped, his UMP party winning just 19 per cent of the votes. The French President hoped for a ratings lift from the war. He got the opposite. “Sarkozy has become the most unpopular president in the last 40 years,” informs Pierre Concialdi from Institute for Economic and Social Research. Given France’s troubled history in the region, many fear some Arab countries may remember their common past and unite against their former colonial master. “Countries that have genuine uprisings and then being able to unite, that is something that imperial powers don’t really want to see,” Lowkey, rapper and political activist, shared. With France facing growing backlash at home and abroad, any talk of a quick fix sounds out of tune.